Another entry in the arcade fighting game series based on popular manga by Masashi Kishimoto. It has been developed by CyberConnect 2 studio, which has been developing the franchise since its creation. 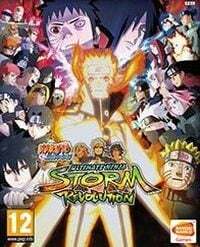 Naruto Shippuden: Ultimate Ninja Storm Revolution is a proposition of CyberConnect 2 studio and Namco Bandai concern, addressed primarily to fans of manga, created by Masashi Kishimoto. The ambition of the developers was to enrich the proven solutions in the game with completely new elements. Similarly to the earlier parts of the series, in the Naruto Shippuden: Ultimate Ninja Storm Revolution, the players have the opportunity to control the actions of the favorite characters from the Naruto Shippuden universe and take part in the spectacular fights in arenas. The developers have prepared over 100 characters - each of them has unique abilities. The interesting thing is that one of the new heroes was specially designed by Kishimoto for the game. The game is based on series of dynamic fights on the ground or in the air. The combat mechanics is based on the well-known solutions taken from Naruto Shippuden: Ultimate Ninja Storm 3 Full Burst. However, they have been modified and several new features have been added, for example, the ability to apply the Combination Ultimate Jutsu attacks, as well as the combination of individual powers in the new techniques. The developers from the CyberConnect2studio remained faithful to the three-dimensional visual setting in the manga style. Noteworthy are intense colors and spectacular special effects (explosions, flashes, etc.) that appear during the gameplay as well as numerous cutscenes. This guide for Naruto Shippuden Ultimate Ninja Storm Revolution contains detailed information about the single player mode.